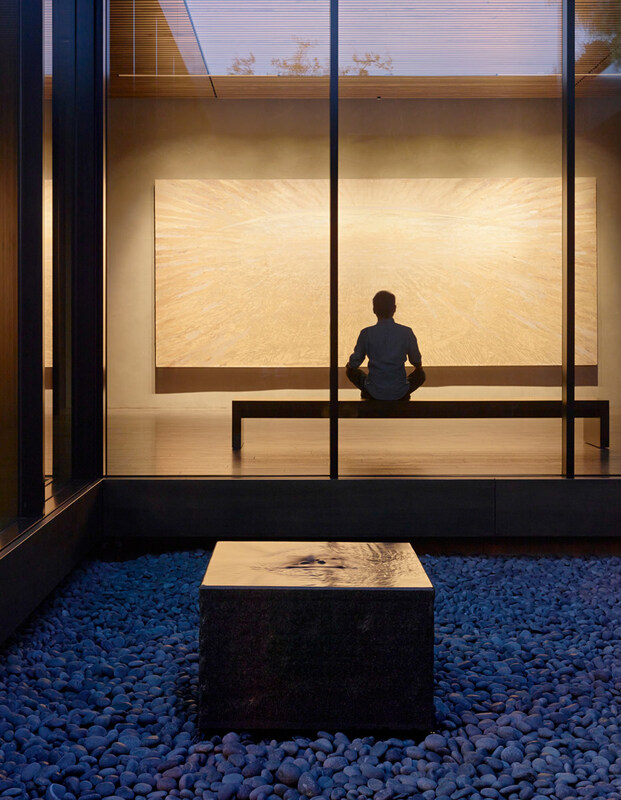 Need A Spiritual Complex? 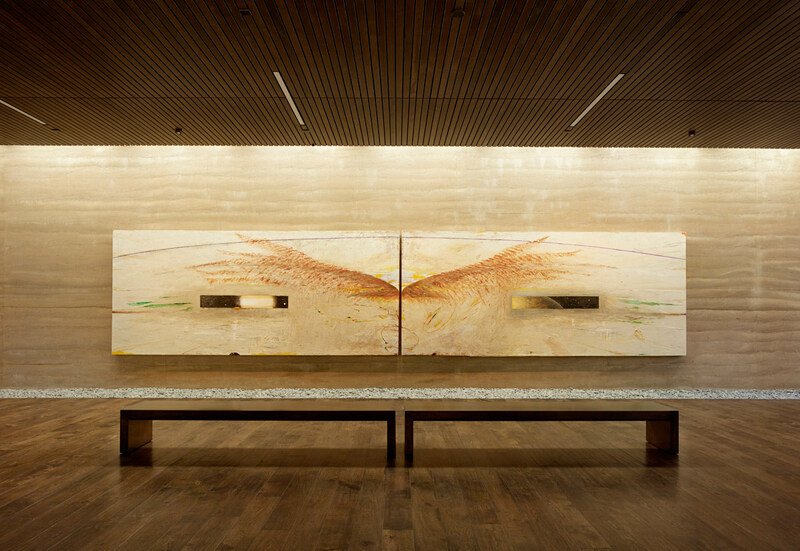 Try The Windhover. 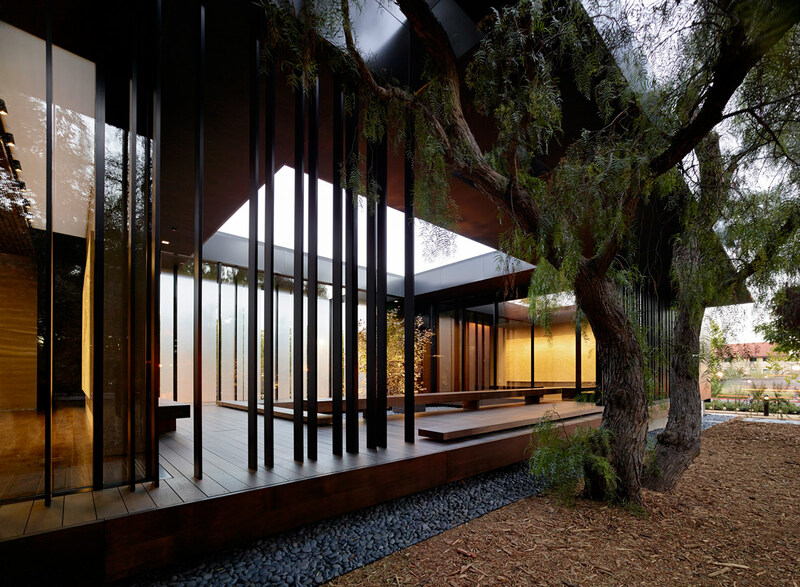 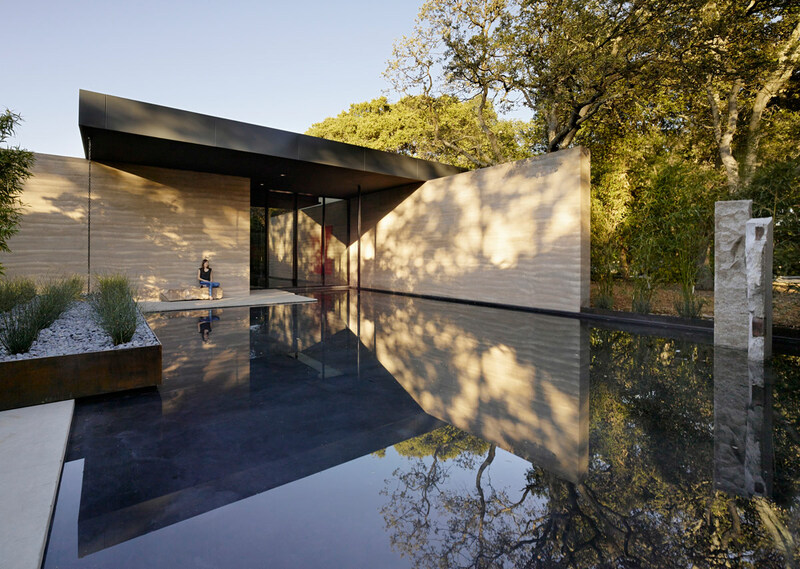 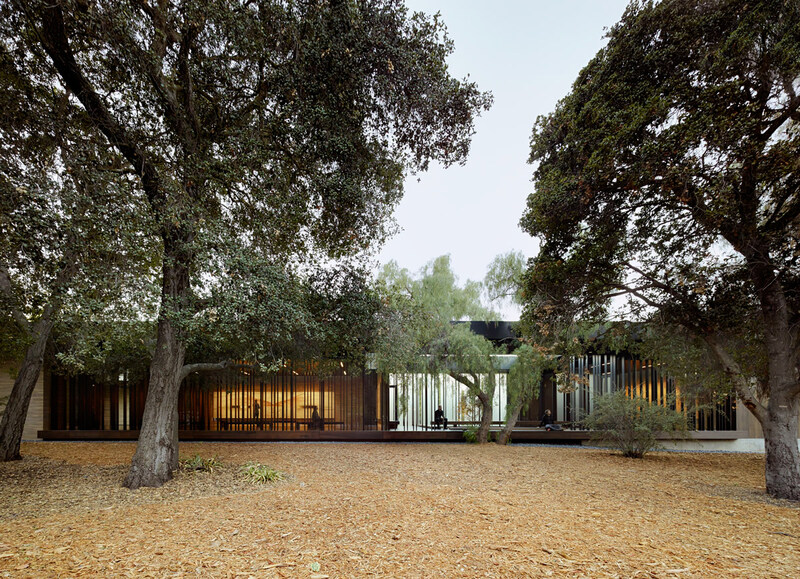 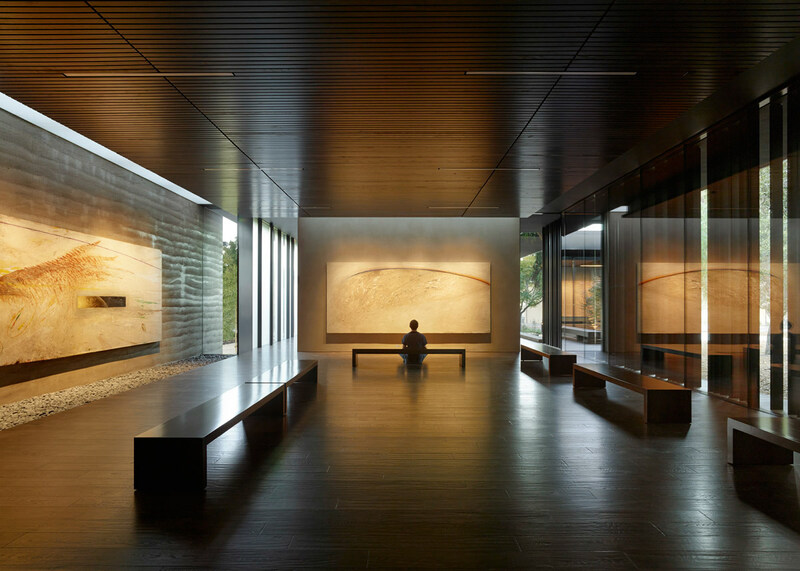 The Windhover Contemplative Center is a spiritual retreat on the Stanford campus to promote and inspire personal renewal. 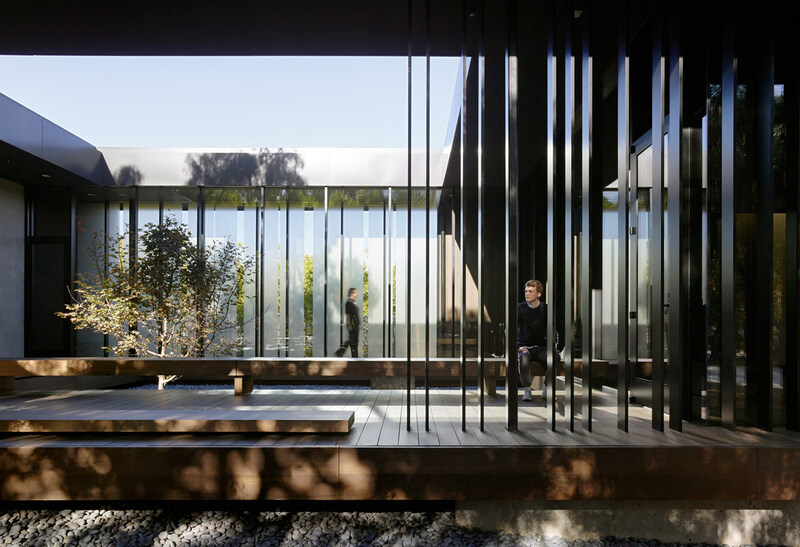 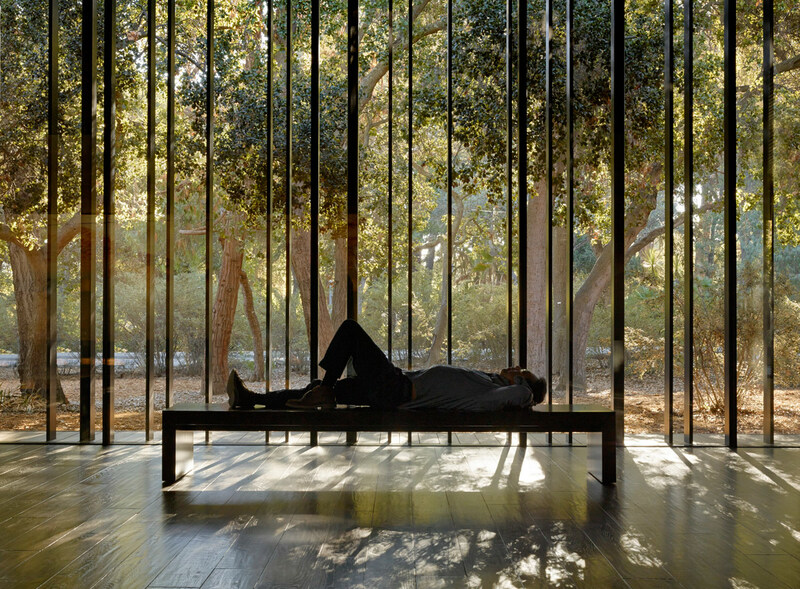 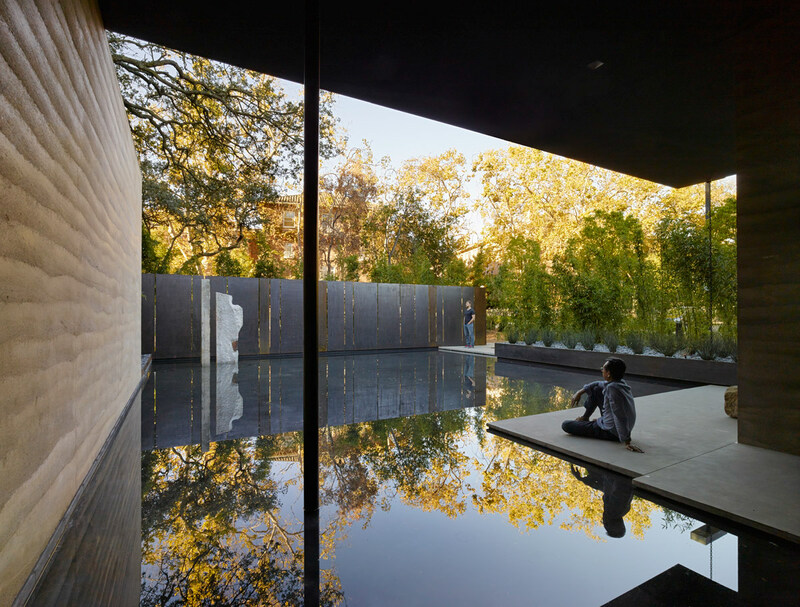 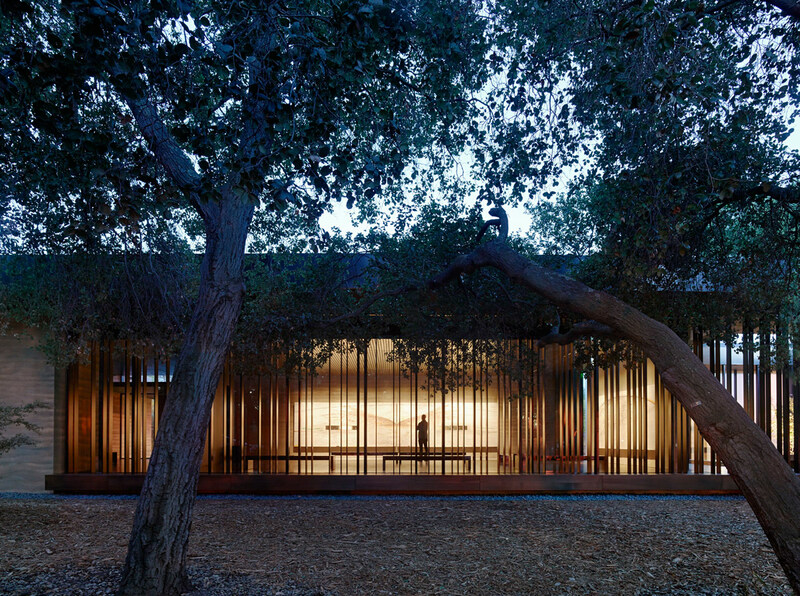 Using Nathan Oliveira’s meditative Windhover Series as a vehicle, the chapel-like center provides a refuge from the intensity of daily life and a space for quiet reflection for the Stanford community. 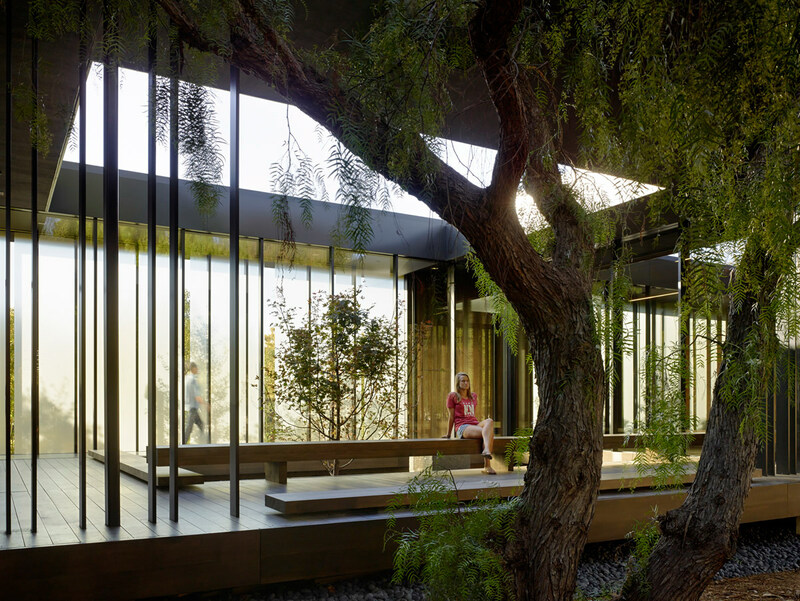 The extended progression through a long, private garden to the building’s entry allows visitors to shed the outside world before entering the sanctuary. 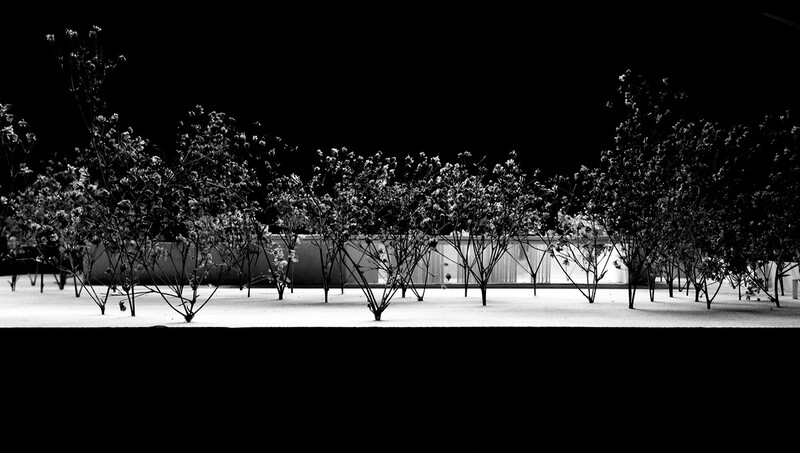 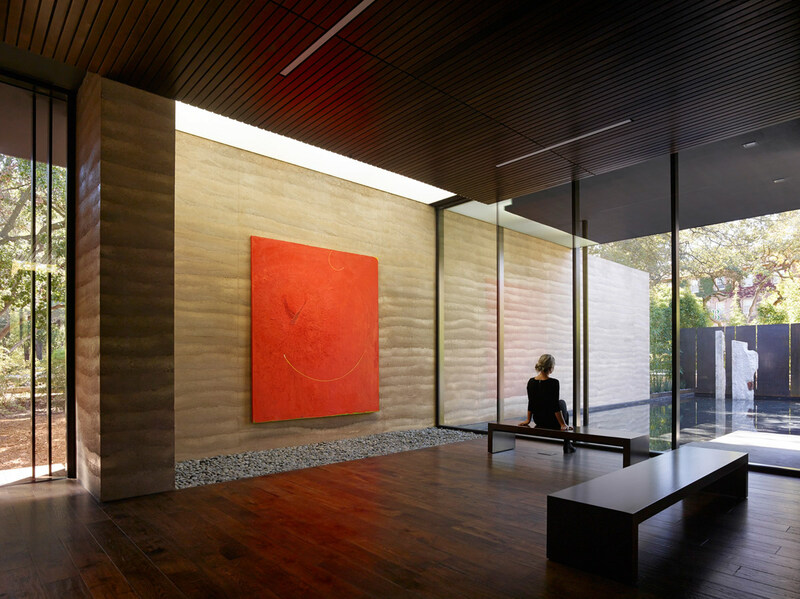 Within, the space opens fully to the oak glade beyond while louvered skylights wash the 15 to 30 foot long paintings with natural light, unifying art, architecture and landscape. 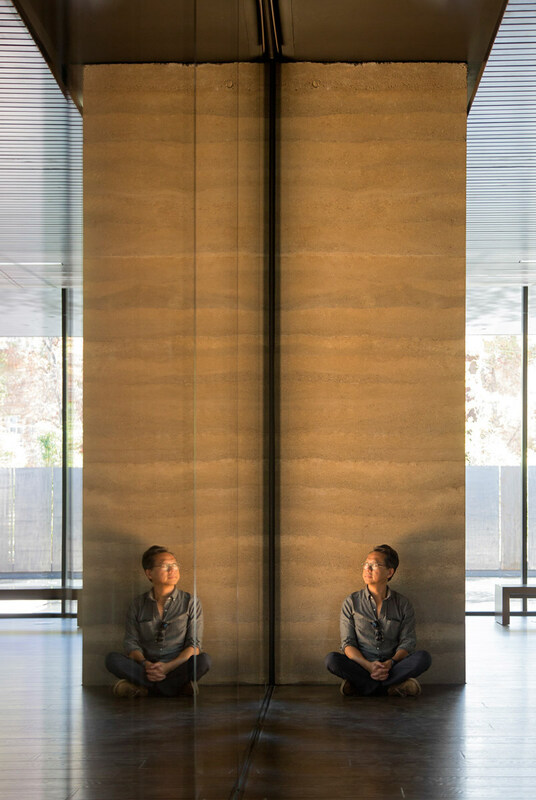 Rammed earth walls, wood surfaces, and water further heighten the visitor’s sensory experience acoustically, tactily, olifactorily, as well as visually.